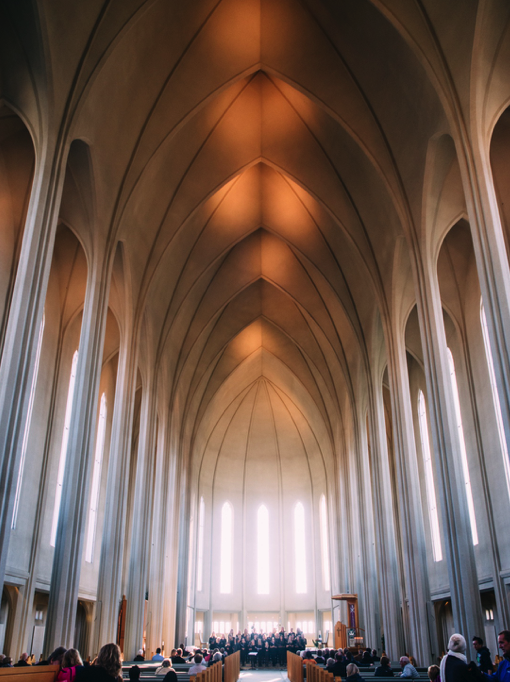 Ever since we started building structures dedicated to the observance of a higher power, acoustics have played an important role in achieving the most ideal spaces for worship. Acoustics affect our perception of space and, in the case of a place of worship, that perception is often heightened by a sense of awe unlike any other environment. If done right, acoustics in worship spaces can change the entire perception of a space. Think about the last time you walked into a place of worship during a moment of silence or solemn ceremony-the reverence of the congregation is almost tangible. Then imagine that same space 30 minutes later, when the collective bellows of a singing assembly bounce around the space in joyful exuberance. These effects are achieved by careful architectural planning and acoustics engineering. This planning includes the use of materiality, directionality, and the distance created between your ears and the surfaces that sound bounces off of. Most people don’t think of acoustics affecting how they perceive space, but the auditory component of architecture cannot be ignored. This goes especially for worship spaces, where the quality and vibration of sound contributes to cultivating reverence and community. The physical makeup of different building materials can have drastically different acoustic ramifications. For example, wood-slatted ceilings or walls soften incoming sound much better than stainless steel, or even drywall. 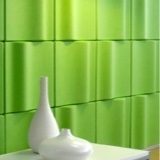 There are two major factors that contribute to a material’s acoustic properties: reflection and diffusion. 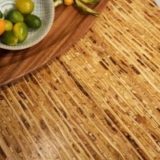 The wood slats have high diffusion and low reflection. This is in part due to the increase in surface area the slats create, and the softness of the wood itself. 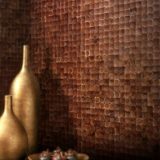 The result is a softened acoustic reaction, which can lead to the deadening of sound as it bounces off the material. You will frequently find wood-slatted walls in worship spaces, because they function acoustically to create a solemn, quiet space, which helps foster a feeling of unity in the congregation. In a typical room, you have four walls, a floor and a ceiling. Acoustically, there’s nothing particularly life-changing about the way sound moves about the space. It’s predictable, and we’ve grown conditioned what to expect. 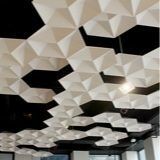 However, in specialty spaces such as churches, mosques, or cathedrals, the faceted pattern in wall and ceiling surfaces can lead to remarkable auditory experiences. 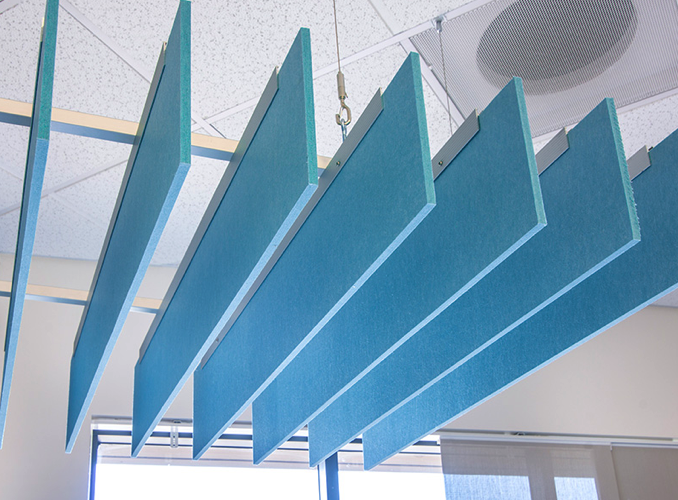 For example, these acoustic baffles from Kirei create opportunities for sound to jump and bounce around in interesting ways. Acoustic engineers and architects can use directionality to project the unamplified voice of the speaker or choir, while simultaneously giving volume to the joint projection of the congregation. It takes a good knowledge of geometry to strike this balance perfectly, but this technique also relies on an understanding of how sound reflection works and how materiality contributes to the desired effect. Just as important as materials used and directionality, is the distance sound must travel before it reaches your ears. The longer sound must travel, the more volume it loses as a result. Common sense, right? Worship spaces often have incredibly tall ceilings. 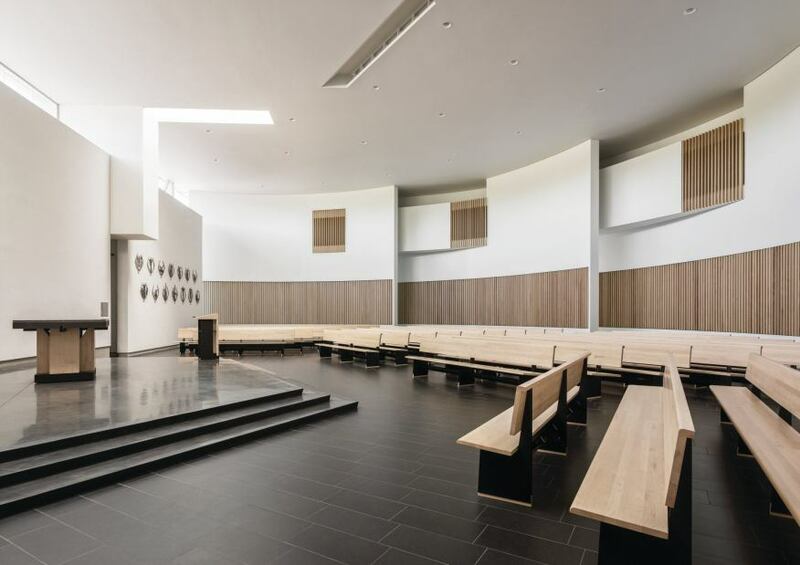 This acts to create an appearance fit for a spiritually important space, but also to allow sound to be collected and dispersed in a controlled manner to the congregation below. In a sense, this process adds volume to the area’s sound distribution, resulting in a softness and fullness that reinforces the experiential impact of a worship space. With these three primary concerns in mind, acoustic engineers work hard to establish a basis for executing their underlying concept for acoustics in a worship space. These decisions can’t be made in a vacuum, and should be carefully coordinated with the architect, structural engineer, and the client in order to deliver an experience that is greater than the sum of its parts. In the end, the space should reflect a message being conveyed by the spiritual construct of the worship space, and never be at odds with that invisible force. If done right, the acoustics will disappear into the background and let your focus be pointed towards the reason we build worship spaces in the first place: a connection to something larger than ourselves.